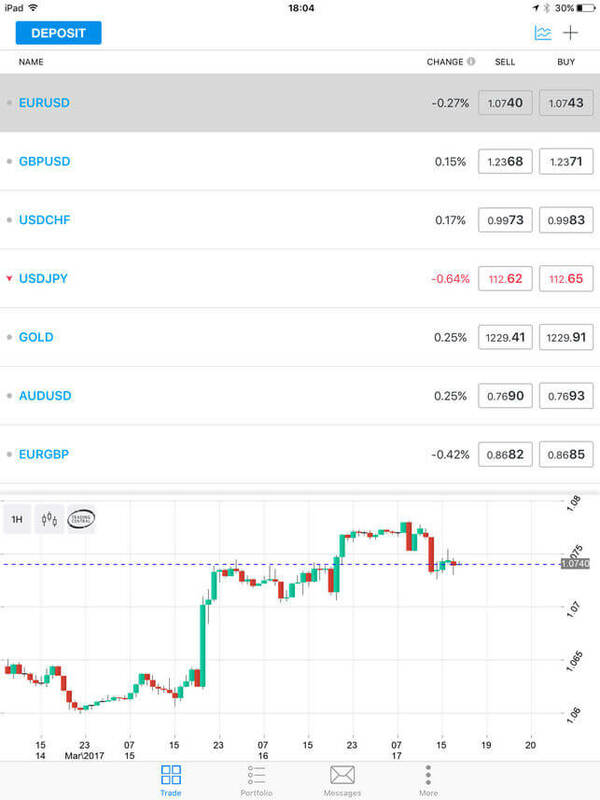 ForexCT is an Australian based Forex and CFD trading provider that offers a range of solutions to trade whether you are an experienced trader or newbie. Since its establish in 2006 the broker walked a path of a constant development so now became one of the preferred trading providers in Australia and beyond. The ForexCT offers many types of products to trade so any trader will find a necessary instrument according to personal needs and best knowledge. This range includes Margin FX, Spot metal CFDs, Cryptocurrencies, Index CFDs and Commodity CFDs (futures). In case you are beginning trader, at ForexCT you can get necessary education tools, develop your trading skills with numerous insights, professional analysis and benefit from the high level of support provided by the broker. While seasoned professionals will be supported by the range of technology solutions, attractive trading opportunities, lower prices and possibilities. What ForexCT shows it does indeed gain highest rankings among the traders’ community with and within Australia as offered high leverage, guaranteed stop loses and fixed spreads while the quality of trading operation remains prior all times. Is ForexCT safe or a scam? Is ForexCT safe or scam? The original question which any trader should ask before putting any money or deciding whether to trade with a particular broker or not. The safety always stands at the priority and in fact, the only measure that can ensure you of a safe trading environment is the regulatory status of the broker. This means that the broker that is licensed by the respected authority in the jurisdiction or another been checked timely before its launch, watched how trading and overall service is delivered at all times and can be sharply fined in case the company does not follow safety guidelines. In addition you, as a customer and trader protected by the authority that checks on the funds’ management with strict money segregation, by the ways to complain or get compensated in case things go wrong with the broker. So in case of ForexCT you will find all abovementioned operational standards applied, as the ForexCT is a trading name used by the Forex Capital Trading Pty Ltd, which is regulated by the world respected ASIC (Australian Securities & Investments Commission). The broker manages clients their funds and the trading service in accordance with the Australian Client Money Rules, as well as operate through a very high operating capital that guarantees the firm’s sustainability. The range of offered platforms from which you eventually access your personal account and perform trading itself gives an opportunity to choose the suitable platform for your particular device. At the beginning, you may also choose to set up risk-free Demo account with virtual cash and then follow by live trading. Further on, there are no differences between the account types, trading accessible through a single account, yet Active traders and VIP account feature lower pricing and advanced services may be included by the ForexCT according to the trading sizes you perform. 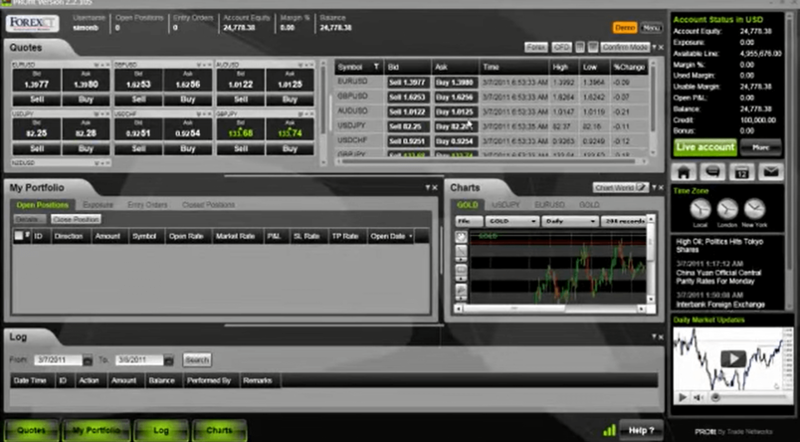 With the ForexCT platforms, there is no need as obligatory to install software to your computer, as you may use WebPROfit an ideal for Apple Mac traders or traders who use any PC, to access ForexCT trading through a browser. The platform features powerful capabilities to trading and allows to stay connected with no matter where you are as well through Mobile PROfit. The PROfit iPhone, iPad and Android application are fully synchronized with the PC-based platforms so you can trade and manage your account, anywhere, anytime. In addition, there is a capability to use Mirror Trader, Tradency’s web-based Mirror Trader platform allows you to automatically mirror and learn the trading strategies of top forex and CFD traders from around the world. Moreover, there are some additional tools included apart from the powerful capabilities of the platform. This includes exclusive access to Trading Central Analysis an industry-leading technical analysis and research data. Since ForexCT offers marginal trading, meaning that you can trade through a multiplied amount of your initial deposit and operate larger positions. This tool gives a great advantage as increases your potential gains, however, you should learn how to use leverage smartly and obtain a good knowledge of its simultaneous risks to lose as well. Recently most global brokers offer lower levels of leverage due to the updates in regulatory requirements, yet with ForexCT and Australian regulation, in particular, you may still enjoy a high level of leverage of 200:1 for Beginner accounts and up to 400:1 for Professional and VIP accounts. Another crucial factor in trading is the fees that you have to pay to the company since the broker gives you access to markets. ForexCT fees are based on the spread, which is the difference between the bid (selling) and ask (buying) price. For example, if the AUD/USD were quoted on our platform as trading at 1.0510/1.0512, then the spread is 2 pips. Overall, ForexCT spreads are very reasonable especially considering that broker is based on a fixed spread, means spread remain stable even in volatile market conditions. Moreover, ForexCT offer free Guaranteed Stop Loss Orders on Margin FX and gold and silver Products regardless of volatility or market gapping. For instance, you can check and compare ForexCT fees to another popular brokerage Plus500. In addition to the spread, there is the swap or rollover interest that is earned or paid if a trader holds a position overnight. Rollover also dependant on the length of position opened, which varies either rollover is short or long. As an example see table above, alike ForexCT Ripple rollover is -2 for both long and short positions. For current rollover rates and spreads check on the ForexCT trading platform. So once you decided to give live or set up the real trading you should obviously deposit funds into the account. The payment methods supported by the ForexCT includes the most convenient, safe and popular methods like Credit or Debit Cards that are usually accepted in your base currency, as well as the Domestic Bank Transfers or EFTs accepted in Australia. As alternative, you may also use BPay, or International Telegraphic Transfer through overseas banks. The minimum amount that will allow you to operate live trading is $500 AUD, however there is no strict requirement on a minimum deposit amount. For the withdrawals, all are performed via your PROfit platform where you submit a request, input necessary withdrawal information and choose the method, however, it should be the same as you deposit funds (due to money regulations). In terms of deposit of withdrawal fee, the broker reimburse necessary expenses, yet your payment provider may charge some processing. Overall, ForexCT is a good choice of well-regulated broker with a long history of operation, reasonable trading conditions and its high quality of support services. Either the beginning or seasoned traders should find expectations met, as well as the guaranteed safety measures alike stop losses and fixed spreads letting you concentrate on trading performance itself with no worries on operation gap.